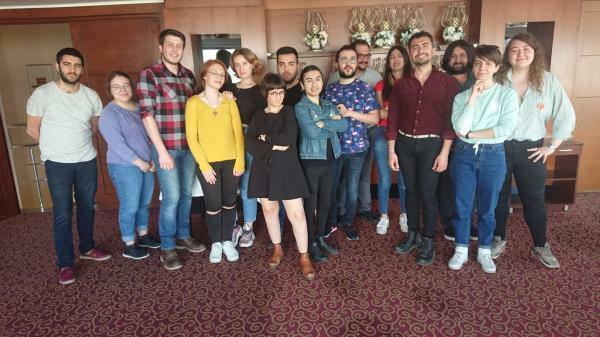 In the Izmir stage of the Media School, participants discussed the digital design and being the subject of the news. ​Seventy-three percent of the LGBTI employees in the public sector say there are discriminative elements in the institutions they work at. According to the 2018 Media Monitoring Report released by the Kaos GL, in almost half of the texts the basic rights of LGBTI+s were violated. How obscene am I TİB? About 88 thousand of internet sites are blocked! How much are we blocked on the internet? Is someone watching us on the web? Islamist daily calls for LGBTI organizations to be closed down! Conservative paper asking for ‘tear gas’ targets LGBTIs! TV show fined for ‘damaging Turkish family structure’!